Looking for a dog or cat or rabbit to adopt? 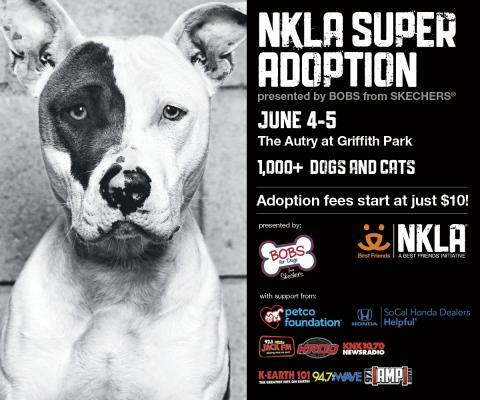 If you're in the Los Angeles area, check out the NKLA Super Adoption. 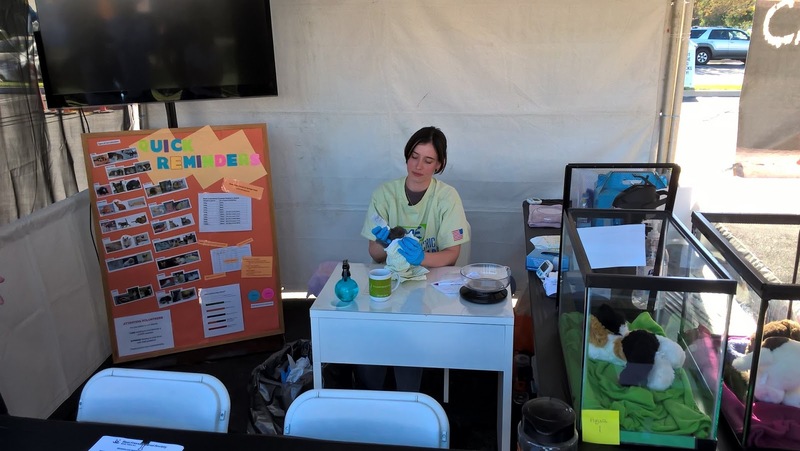 Although NKLA is the main organizer, there are also many animals from other shelters and rescues. We were there today and had heaps of fun. By 4 pm, 303 animals had been adopted! The orange & white tabby on the left is one of the prettiest cats I've ever seen. The gray & white kitten on the right is named Hodor, paw dangling as if lounging on the Iron Throne. Arya is his (hidden) cagemate with her own electric fan - it was far too hot today for a maiden of the North. I'm totally humiliated. That's probably what this tolerant pup was thinking the entire time it patiently posed for a dozen cell phone pictures. Humans are always putting dogs in humiliating costumes. If you show up at the right times, you can watch a newborn kitten being bottle-fed. See that round thing on the right side of the table? That's a scale. They weigh the "bottle-babies" at each meal to monitor their progress. At this booth you can also get info about signing up to be a kitty foster parent. In their first week, kittens have to be bottle-fed every 2-3 hours, but they grow rapidly. By a month, they are eating some solids. Since I love pit bulls, I was especially interested in seeing Angel City Pit Bulls's booth. They had about five dogs there today. By the time we got there, all but one were adopted. Success!